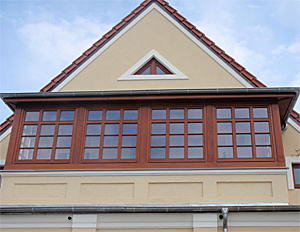 We execute pine, oak and red meranti windows. 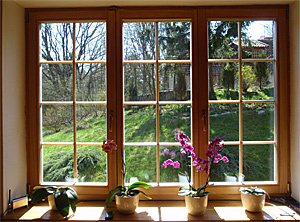 Adequately selected timber from the surrounding resources of the Piska Forest is used for our windows. This wood allows the creation of a three-layer laminated plywood. We go further. STARGLASS is a Polish-Finnish company dedicated to the production of insulating glass. Their products are suitable for passive houses, thermal protection and sun protection and to increase the security of objects. Glass of this type is ideal for many applications in the construction industry, both in the newly constructed and renovated buildings. P2 glasses - secured with foil inside and P4 glasses - resistant against burglary. Envelope fittings by MACO are used for windows, an Austrian company that provides the highest comfort of windows. options of windows being connected to electronic alarm systems or monitoring. They are greta technical possibilities for the execution of the doors. They can be turn - only or sliding, or tilt - sliding, depending on the needs. 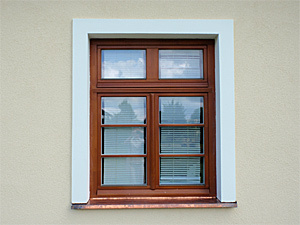 An effective way to protect against burglary is the use of windows with glass and anti force-in hardware. WK1 anti force-in hardware class protect against opening by force, such as a push or a kick. WK2, WK3 anti force-in hardware adequately protect against opening with a screwdriver type tool or a crowbar. Our manufactured windows are subjected to impregnation by dipping them in the impregnator and then when they are dry - they are repeatedly painted with hydrodynamic paint primers and topcoats. We use water-based paints and impregnates by SIKKENS, a company known for years as a market leader in quality. SIKKENS paints ensure maximum safety - the products are not harmful to health and do not harm the environment. Impregnation is repeatedly increased by the natural durability of all species of softwood. Primers are the link between the surface of the wood and subsequent coatings. Their formula and adequate composition have significant impact on the entire system of properties of coatings, such as flexibility and grip. SIKKENS applies innovative technologies of binding materials having a high ability to penetrate with the creation of deep and lasting bonds with the structure of wood cells. Additional protection against moisture is guarantied by a preventative application of Kodrir WV457/472 protection on front sections and Kodrin WV 470 mass for weld-closure. For ultimate security we use the new generation of SIKKENS CETOL varnishes, PowerFeed technology. It is an innovative binder technology in close cooperation of Azko Nobel with natural resources industry. The positive effect of this new generation binder is a significant improvement in the properties of the coating, which results in a much greater resistance to weathering and UV radiation. One of the main factors determining the durability of the paint coating on the elements of wood is protection against water penetration. The new generation of Cetol varnishes offers this protection through improved coating properties. In addition, the coating, due to its high flexibility, is more resistant to mechanical damage from the outside. All the windows are fitted with rebate gaskets. To seal sashes, Q-LON gaskets by Schlegell or DEVENTER are used. To seal glass embedding in sashes a flexible neutral WACKER silicone putty with full chemical compatibility with color coating is used. The use of aluminum slats mounted on the lower part of the outer sash is a novelty on the market. They provide effective protection for the most part of the window exposed to atmospheric factors. The whole of the water retained by the glass flows on this side. In extreme conditions, this element is exposed to high temperature and UV radiation, which results in cracking and flaking of paintwork. The use of this element significantly determines the vitality of the whole window. Windows are also equipped with bolections. Depending on the needs of the customers we use internal, design, Viennese muntins of different widths and shapes. 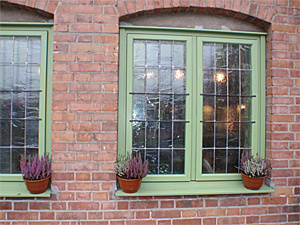 Casement windows are a special type of windows mainly used for historic buildings. 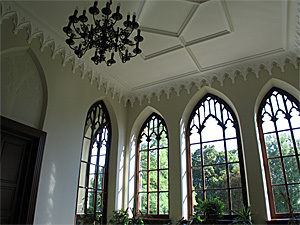 The basic idea of ​​conservation is the fact that the appearance of new windows is to give back the look of the original woodwork, and on the other hand, the window must have the qualities that characterize modern woodwork - tightness, thermal and acoustic insulation, and the ease and convenience of use. We, as professionals in the industry, meet these requirements. in accordance with the prototype, that is: internal and externak sash mounting with single glasses and hardware of the old type, such as stiffeners, tailstocks, espagnolette bolts, etc. 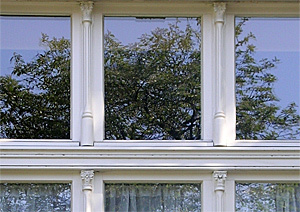 external sashes are made of a single pane and internal ones of combined glass. 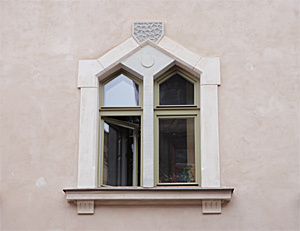 Casement windows are often used with decorative moldings with floral motifs.